If I've said it once, I have said it a thousand times, going green should never be about guilt. Still, we moms have a really hard time with cutting out the green guilt when it comes to our kids. There are so many worries these days from BPA (Bisphenol-A) in plastics and food containers to hormone disruptors in milk, meat and shampoo. 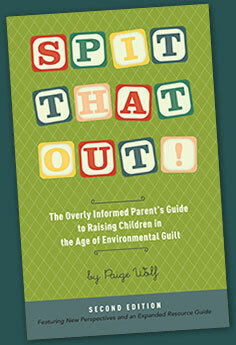 Well listen up because I just finished reading Paige Wolfe's book, Spit That Out and I think it is every mom's answer to green guilt and it just might have saved my marriage! "So, yes, I am still green-guilty and eco-anxious. But my son is happy, healthy, and very much enamored with our tiny outdoor urban garden. Although Paige may make fun of the fact that she still suffers from green guilt, I found her book amazingly freeing and perhaps even a way to save my marriage. Okay so the marriage thing may be a bit of an exaggeration but still, after reading Spit That Out I will no longer make my husband feel like he is giving our children their future cancer diagnosis each time he feeds them a Happy Meal, or anything else, against my wishes. Filled with hilarious and helpful anecdotes and quotes from moms just like you and me, Spit That Out gives readers (and dads could get a lot out of this book too) the feeling that we are not alone in our daily quest to help our kids live healthy lives. 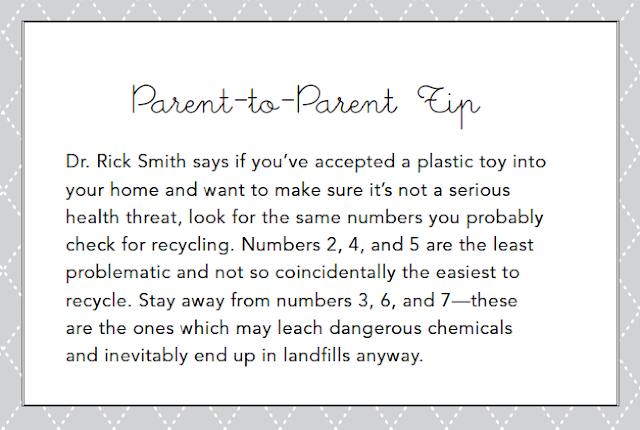 One of the best parts about Spit That Out that will really help to ease mom's green guilt are the Green Mom Sanity Tips and Parent to Parent Tips throughout the book. Paige really gets to the heart of many of our worries and fills in the blanks on a lot of what we "kind of catch" on the news about toxic worries while we are making dinner, helping kids with homework, doing a load of laundry and talking our best friend down off of the ledge...all at the same time. If you read one book this year, make it Paige Wolfe's Spit That Out. It will be the best couple of hours you spend and who knows, it might just make the wild ride they call parenting, just a little less stressful. Check out Paige's blog for all the info on her book and even more great, green tips.